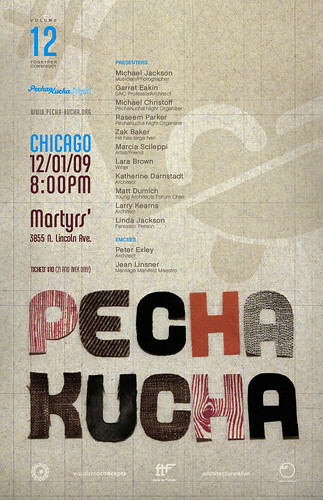 We designed the poster for Pecha Kucha Night Chicago Volume 12. More info at www.pecha-kucha.org. Tagged chicago, pecha kucha, poster. Bookmark the permalink.